Visit our Tax Office Today! Visit one of our two offices today! 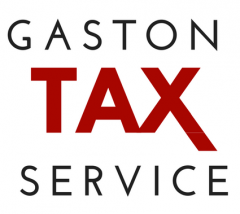 We provide tax preparation for individuals and businesses. We are open year round to help anyone who has tax issues. So why go to a human tax preparer? There’s only one reason- Sometimes human beings can do things that software can’t. For example, by asking the right questions they can ferret out deductions that software might have missed. Or by getting to know your situation, they may help you formulate a strategy to minimise future taxes or answer other financial questions you might have. While most modern software does ask you questions, provide answers and try to help with strategy, it will never be a match for an expert human brain. Call: 704-824-0729 . Make an appointment today to address your TAX preparation needs. During tax season we are open 7 days a week and offer evening and weekend appointments to fit your schedule, walk in service also available. Days until Taxes are due!